The Chameleon imager maximises the capability of small form factor EO CubeSats. We achieve this by extending the space qualified image plane and electronics of the Gecko imager with our new custom designed Chameleon high performance optics. High capacity, high speed mass storage is integrated into the compact design. The imager is optimised to fit within industry standard CubeSat deployers while retaining maximum volume to accommodate the functionality required for your high-performance CubeSat mission. 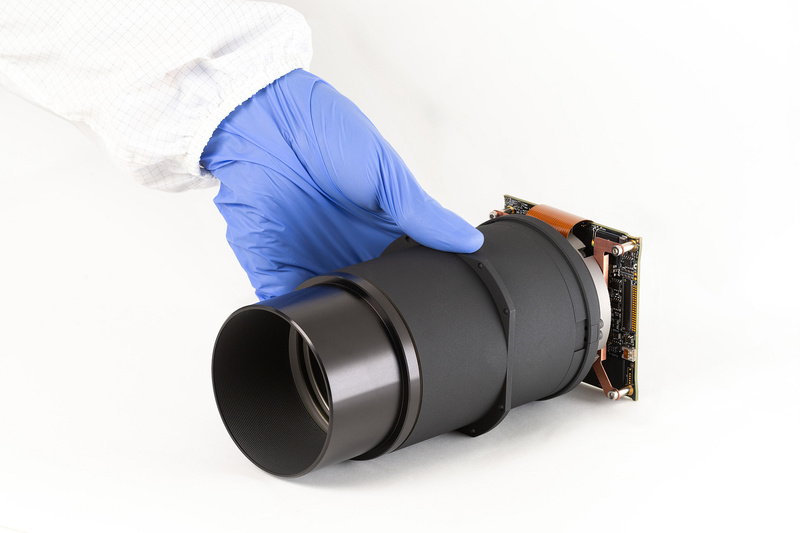 Images are captured directly to the imager’s integrated mass storage, making it a self-contained imaging payload solution. Various configurable electrical interfaces and protocols allow data to be streamed directly to a transmitter or to an on-board computer. Reliable operation in space is achieved by using a combination of proprietary hardware and ruggedized optics.